UMCOR Sunday allows The United Methodist Church to respond when disaster strikes. Think of UMCOR as our “Go Team” who can be present when help is needed. 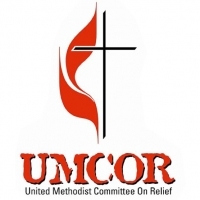 Unlike other benevolent causes, UMCOR receives no funds from the regular United Methodist Church budget. 100 percent of all other donations go toward specific relief projects. The examples are many — helping rebuild after hurricanes Harvey, Irma and Maria in the U.S.; offering assistance after mudslides in Sierra Leone; and continuing to help survivors of floods and other natural disasters that happened before 2017.